At Dynamic Transitions, we know what it’s like to feel unsatisfied or unhappy at work. Many of us have transitioned to new cities and careers, dealt with unsuitable work environments and managed the challenges associated with taking on new positions and leadership responsibilities. Our own practice in New York City only came into being as the result of a difficult career transition. As we went through personal and professional changes, we realized that transitioning wasn’t static (i.e., just overcoming the obstacle in front of you), but a dynamic process that teaches you valuable things about yourself and others in crisis. And while dynamic transitions are often challenging and stressful, they each carry a unique opportunity to re-evaluate goals and take steps to adjust them and thrive professionally. In addition to being licensed psychologists in the state of New York, we bring substantial professional experience, including management, senior administrative and C-Suite roles. We offer professional career coaching for a variety of clients from executives, managers and entrepreneurs to career changers and those who are career “confused” or who are seeking career advancement. We also provide consultation services to help strengthen and grow organizations. We also offer a variety of services to help you develop job search skills or respond to career challenges that affect personal relationships. While I have had a lifelong interest in human behavior, I initially thought I would be a pediatrician and then a writer. I finally found my true calling as a psychologist and career coach after several professional disappointments of my own. In my career, I have felt that sometimes the darkest and most difficult situations have opened doorways that I would have never been able to see without them. As a psychologist and a career coach, my work is informed by that central tenet of finding hope in times of struggle. I see it as my role to hold on to the exciting opportunities that lie ahead of you during this career change. Instead of feeling trapped by how dark your situation feels right now, you can learn to use the light from newly opened doors as a guide to a new, satisfying career. Throughout my career, I have enjoyed immersing myself in new fields as my clients come from a range of professional worlds. I am fascinated by the wide-variety of work possibilities that exist, and I focus on becoming as knowledgeable as I can in each of my client’s work worlds. I combine my education and training as a licensed psychologist with years of professional experience and a focus on career development to provide career coaching that takes into account the whole person. My approach to career – and career coaching – has been shaped by my own career coaches. My father was a technology executive. He had a very natural talent for leadership and was always revisiting and rethinking his management approach. He would often bring “case studies” to me using situations from his team, department or company, wanting to hear everything that I was learning about group dynamics and organizational leadership during my doctoral program to assess and develop a plan of action to address the issue. We would discuss applications of theories to particular situations that he was experiencing. In essence, not only was he my first career coach, but he became my first executive coaching client. During my post-doctoral training, I worked with a seasoned executive coach who opened me to the world of assessment and testing. She revealed how important reliable assessment can be in helping executive and middle-management level clients grow and become aware of their leadership strengths and areas for growth. I also learned how effective and efficient assessment was to identifying root causes behind – and developing solutions for – career challenges for professionals at any stage of their career process. She also showed me how useful testing could be in career selection and career change. If you work with me, you will likely experience it as a partnership. To achieve the results you want, you must be willing to commit to setting goals for yourself and engaging in action to move toward those goals. As your career coach, I can guide the process, keep you on task, refocus you when you have had a setback and help you to celebrate your accomplishments. A significant amount of your time may be spent at work, so it becomes vitally important to feel a sense of satisfaction, optimism and pride about your career. Your professional life is an integral part of your identity. I truly respect the relationship that is developed with my clients as it is built on trust, hard work, commitment and a dedication to a better future. The work feels hopeful, positive and forward-moving. Together, we will create a plan that will lead to a greater sense of your professional future and satisfaction in your professional present. Although I appear as an Extrovert (i.e., the MBTI Extrovert) to most people, in truth I have always been a classic Introvert. I worked hard on my non-dominant side, pushing myself beyond my comfort zone, not wanting to miss out on any opportunities. When I am not in the office, I enjoy volunteering with a variety of non-profit organizations and charitable causes especially those that provide assistance to service professionals and caretakers. I also love learning new languages and discovering how much emotion we embed in language; I am always advancing my knowledge in the field and voraciously consume books and literature on the issues that my clients present and the fields in which they are employed. Every client is unique and I am always excited and honored to help you reach your ultimate career and life goals. 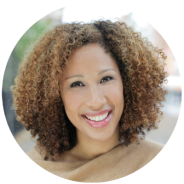 Lisa Orbe-Austin earned her PhD and MPhil in Counseling Psychology from Columbia University and her MA in Counseling Psychology and BA in English from Boston College. She is a licensed psychologist in the state of New York. My passion has always been to better understand human behavior – why people think and act the way they do. I am committed to helping clients reach their optimal levels of life satisfaction and career success. By shifting your thinking and making slight changes in your behavior, you can experience a positive and long lasting effect on your life and your career. Many of us were not provided guidance on how to take control of our professional lives, in pursuit of greater balance and improvement. Therefore, you may accept the areas in your life where you feel unfulfilled, instead of working toward positive change. Being a therapist and career coach is my way to bring more light into the world and to give my clients the tools and confidence they need to improve themselves and experience fulfillment and success in all aspects of their lives. Balancing life and career is difficult, but it is possible to achieve harmony and create greater satisfaction and happiness, both personally and professionally. I appreciate how stressful it is to feel like the career decisions or challenges you are facing may make or break your career, and possibly negatively alter your life. And the higher you rise, the more stressful decisions you face. When you are in a C-Suite role or aspiring for an executive position, you face unique pressures associated with such high-level roles. Having served in C-Suite and executive roles, including as the Chief Diversity Officer of a large public college in the Northeast and as the Director of the Graduate Student Career Development Center at New York University, I understand the challenges you face at all levels of your professional career. I provide a wide variety of tools and techniques that you can use to thrive in your executive role, enhancing your leadership and ensuring career success. Even if you are not currently seeking an executive role, but are exploring a career change or career advancement, I have helped thousands of clients identify their strengths, develop career management skills and respond to professional challenges. We aren’t taught how to choose the right career or how to manage it when we find it, and many of us feel stuck or unable to influence our career direction. With professional support and coaching, however, you can see that there is a path to success, career satisfaction and a higher quality of life. As a part of this journey, I will help you develop or strengthen the communication, leadership and relationship management skills you will need throughout your career. Additionally, I assist many clients in dealing with anxiety issues that keep them from performing optimally or reaching for greater professional opportunities. It is always exciting to see my clients experience an “Aha” moment or to recognize their ability to take charge of their lives. This is the reason I am so passionate about my work. In our sessions, I will help you to feel personally and professionally understood. Your satisfaction – or dissatisfaction – at work has an impact on your personal life and relationships – just as your interactions at home tend to impact your productivity in the office. Your career also plays a major role in your ability to take time and connect with important people in your life. As such, it is important to find work-life balance and a career where you feel satisfied. I believe we should all be able to use our gifts, no matter what challenges or disadvantages we may have faced. And, to this end, when I’m not at the office I am constantly working toward self-improvement through my love of reading and by working out, including my new-found interest in running. I also spend a great deal of time working in the community, raising awareness of the importance of mental health in our day to day functioning and how culture influences our behavior and professional opportunities. I recently had the privilege of serving as the President of the New York Association of Black Psychologists, and led a campaign to increase awareness of the importance of mental wellness in our everyday lives. It is a joy and a privilege to work with my clients and to watch their wonderful growth and development. 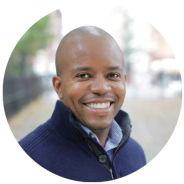 Richard Orbé-Austin earned his PhD and MSED in Counseling Psychology from Fordham University and his BA in Psychology from New York University. He is a licensed psychologist in the state of New York. Learn more about Dynamic Transitions by visiting our Media page or reading about Our Process. Sign up for our newsletters to access helpful articles and additional information on a variety of topics that can help you feel happy, confident and successful in your career. To learn more about them, check out Richard and Lisa's bios.